little bee books, 9781499805291, 40pp. 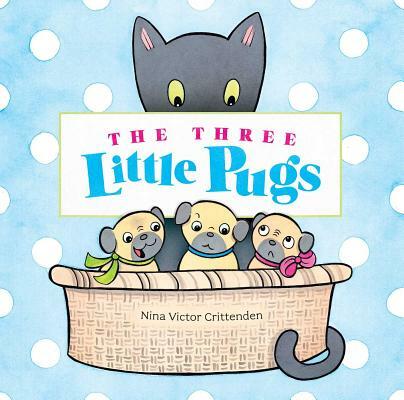 The three little pugs just want to curl up and take a nap, but the big bad cat is sleeping in their basket! Once upon a rug, there were three little pugs. Gordy, Jilly, and Zoie love to race, chase, and play pug-o-war. But most of all, they love snoozing in their big, cozy basket. Then one day just before their morning nap, the big bad cat decides to make himself at home in the pugs' beloved basket! Will they figure out how to keep him away before they get too sleepy? Nina Victor Crittenden lives in Minnesota with her husband and daughters in a house not built of straw, sticks, or bricks. She spends a great deal of time drinking tea and snuggling with a little old cat and two little pugs. This is her debut picture book as both author and illustrator.